This level has medium difficulty. 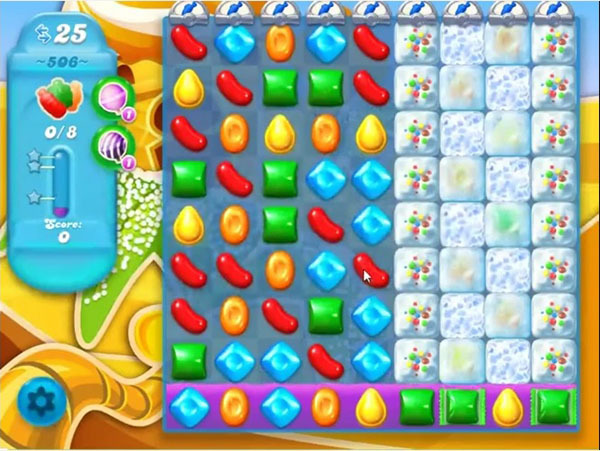 For this level try to play from left part of the board and make striped candy. Combine striped candies with each other to break the snow and break the soda bottle. Or play near to snow to break them. Need help on 506 can only pop 7 bottles having problem breaking the snow not enough moves Help Please Thanks.